Superior quality craftsmanship utilizing the best building materials available in custom home remodeling, additions, and historic renovations for 26 years. Licensed residential contractor with full workers comp and liability insurances. We don’t sign insurance waivers, so our clients and team members are fully protected. Free consultations and estimates. 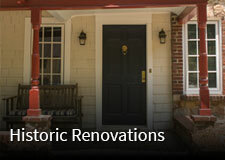 We work closely with homeowners from the very first meeting to create custom ideas for projects. Work is performed by our team who we hand pick and train ourselves. 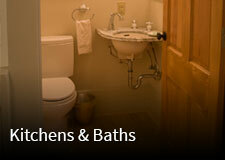 Our team consists of highly skilled craftsman dedicated to doing the job right the first time. We are trustworthy, detailed and focused, and we live by the golden rule. Jobsites are clean and safe. Our team is OSHA certified and trained in first aid and CPR. We have a strict no smoking policy and participate in the Tennessee Drug Free Workplace Program. Daily check lists are utilized and initialed by team leaders to ensure jobsites are clean, safe, and secure. A flexible remodeling schedule reflects our respect for homeowners, their family, and routines. Consideration of whole house health with every project. 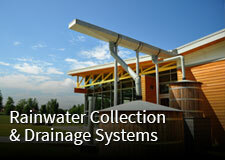 Recycling and reusing building materials whenever possible. We are committed to doing our part to protect the environment. Jobsites have recycling containers for recyclable materials. Consistent, superior, beyond belief results, every time. Exceeding client expectations is our standard. Unforeseen challenges discovered during a project are met head on with a team dedicated to finding the best solutions. A walk through inspection with Joseph at the completion of each project. 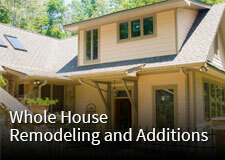 Once projects are complete, clients are entered into our home maintenance program. Our home maintenance program gives homeowners peace of mind knowing we are available for whatever home maintenance needs they have in the future. We are never “gone”, and homeowners are never “forgotten”.